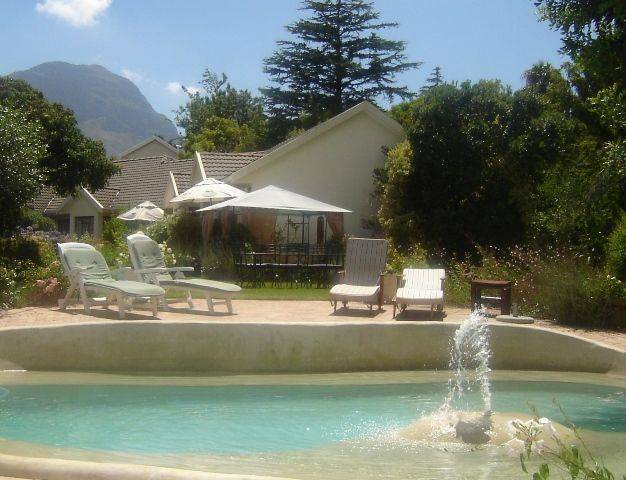 Whether it`s a Golfing Holiday in Somerset West or touring the numerous wine estates, visiting historical sites at Vergelegen, a time by the beach or just plain business in the Helderberg region - consider Mooring House Guest Lodge as your accommodation provider in Somerset West. 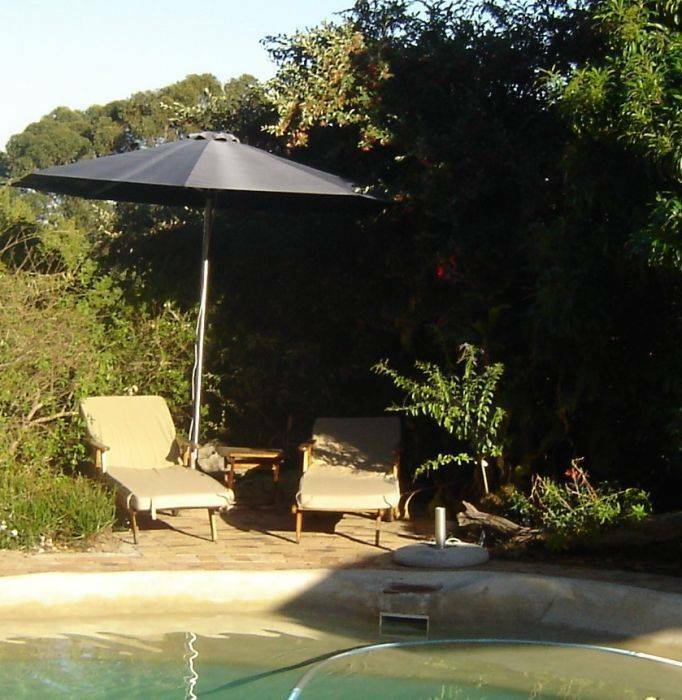 Just 20 minutes from Cape Town International Airport and 30 minutes from Cape Town Centre Mooring House Guest Lodge is the perfect base for your stay in the Western Cape area of South Africa. 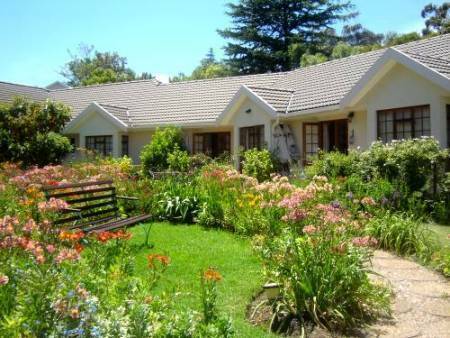 Set on over 4000sqm of property on the slopes of the Helderberg Mountain, the Guest House offers spacious and tasteful bed and breakfast or self catering accommodation in Somerset West. With views of the Mountain as a backdrop and sea views in the foreground the setting is both pleasant and tranquil. 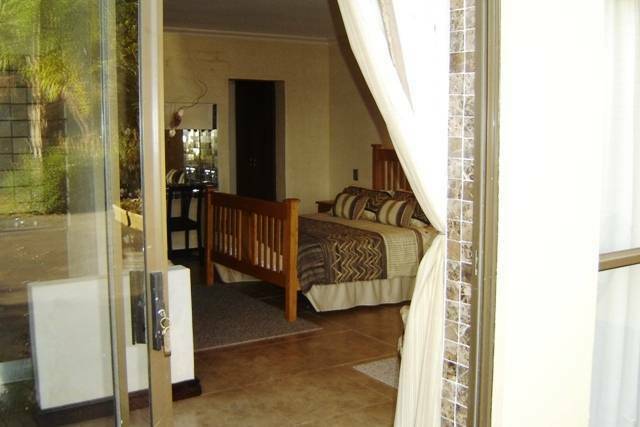 In total the Guest House can accommodate a maximum of 18 guests. Each room has own private entrance and en-suite bathroom, TV reception (satellite option for certain rooms or bring your own card), sitting area and our garden facing units have private outside patios. Apart from additional equipment in the Self Catering units, all rooms have coffee/tea hospitality trays, fridges and microwaves for acomodation convenience. Breakfast is served either on the individual private patio`s, around the pool or brought to your room if the weather is poor. We are situated at the gateway to the numerous wine estate, are in close proximity to various golf courses (Erinvale Golf Estate, Somerset West Country Club, Helderberg Village, de Zalza and Stellenbosch) and the Historical sites found at Vergelegen wine estate. The Whale Coast drive up to Hermanus starts from Gordon's Bay which is roughly 15 minutes away. The Lord Charles Hotel is only minutes away for those businemen/ladies attending conferences there. 24hr ADSL connection or laptop / internet access is available as well as faxing facilities. The Strand Beach front and the Somerset Mall (for all your shopping requirements) is only a few minutes drive away as well as recreational activities such as hiking trails. A supermarket, hair salon, dry-cleaner and restaurant is within an even closer proximity. Adequate and on-site parking is available within the premises, behind electronic gates. A sparkling and refreshing pool is also available to our guests who would prefer to "cool-off " rather than go sight-seeing. Mooring House is situated on over an acre of property away from high traffic noise ensuring a restfull stay. Pool on premises and adequate on-site parking is avaialble. 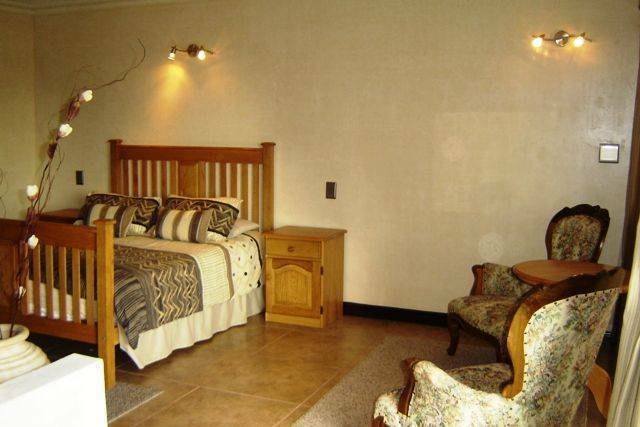 The Guest House is situated in an upmarket area of Somerset West on the slopes of the Helderberg Mountainand and the Strand Beach front a mere 7 minutes drive away. Somerset West is at the gateway to the winelands, 6 golf courses on hand and offers fine dinnig cuisine. 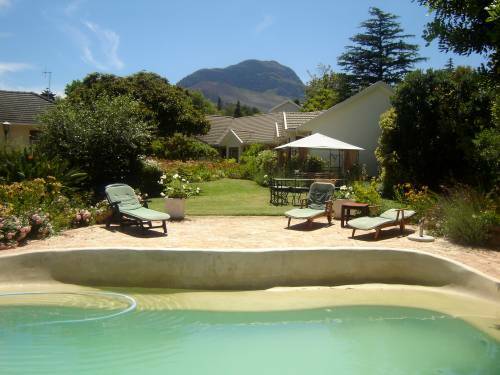 Just 25 minutes to Cape Town centre it is a perfect holiday base to discover the Cape without having to live in the hustle and bustle of city life. In total, a 50% deposit will be required for booking confirmation by the guest house. Full settlement balance (total less deposit) will be required 2 weeks priorto arrival for bookings made between 01 Dec through to end february. All other months settlement will be required on arrival. Should guests wish to settle their account by credit card then an additional charge of 5% of the settlement amont will also be payable. DIRECTIONS FROM CAPE TOWN INTERNATIONAL AIRPORT - Take Highway (N2) from airport to Somerset West. After 10 minutes driving you will pass an Engine service station on your left hand side. About 3 kilometers further you will pass an exit. Do not take it but carry on driving. The next exit is also about 5 km further - this is the one to take R44 / STELLENBOSCH / BLVARD.